is the first image miranda or tigrinaweselli? 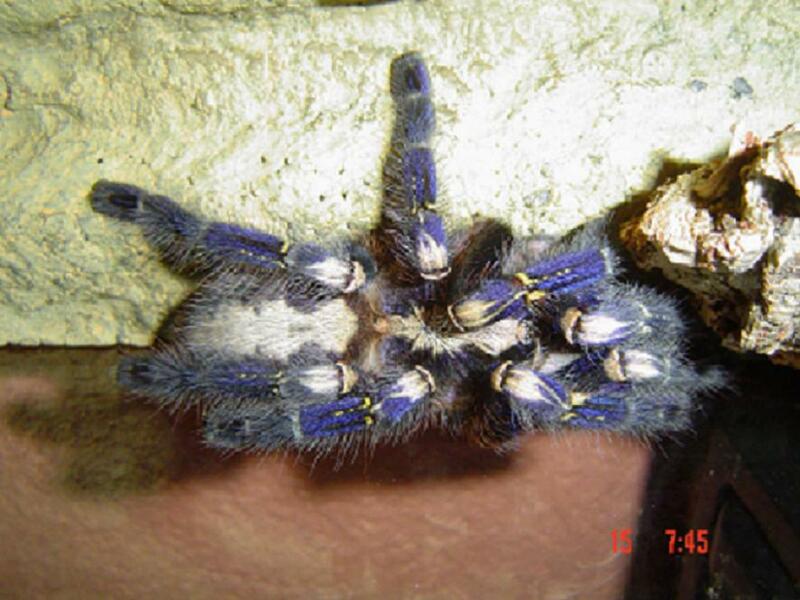 Beautiful subfusca Ben - I have two very fresh adult males here? i could use the male soon if you dont mind me burrowing him and have a go? i should have a female coming hopefully saturday. 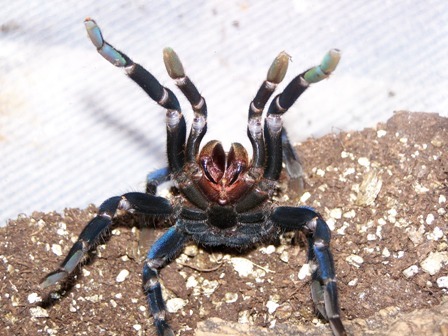 i might need some tips tho i've only had 2 breeding experiences c.crawshayi and they mated succesfully without the male getting eaten during the proccess and still waiting if she will drop and lividum(R.I.P) sadly she fell and ruptured her abdomen. btw brilliant pictures ben and mal! Hi thought I'd throw in a picture of one of mine. she's just been breeding though I don't know how successfully. Heard noise from her tank last night and when I checked she was running around like a little kitten in there. When she realised she wasn't alone she just stopped and sat there looking all sheepish. Soppy thing! Good luck with the metallica breeding Malcolm ! 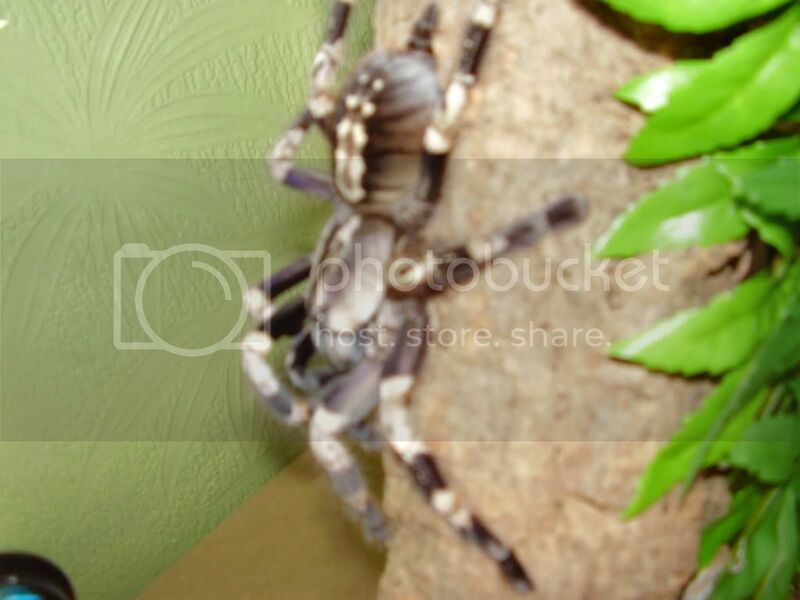 here is my subfusca female she had eaten 2 blac criks and gained a tiny weight. now i see why some people prefers this than metalica. at good lighting you can see great purple highlights with those pretty dark shades of patterns! at what size are these breedable? she is 5.5-6 at the mo. 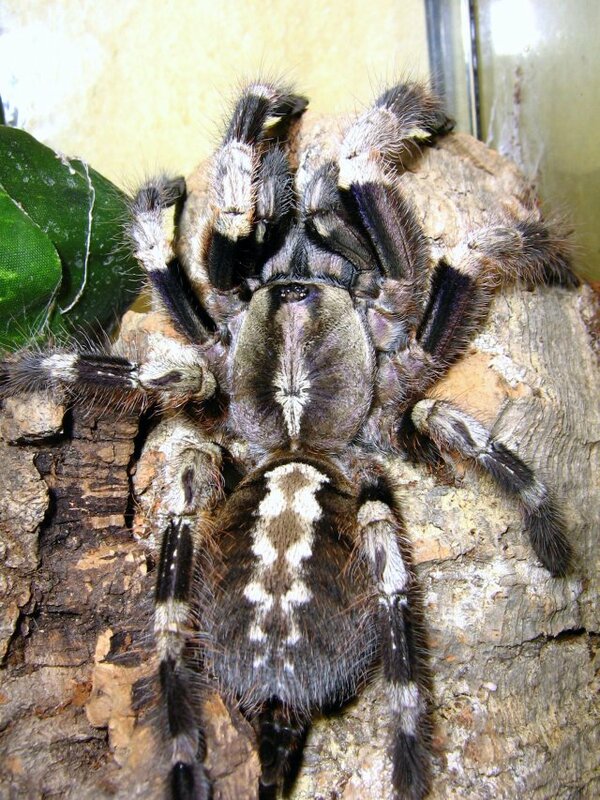 I love these P.Metallicas and have Lee at the spider shop poised to deliver one to me when and if he gets some slings in the New Year. 5 x Cats that belong to the Missus!! !